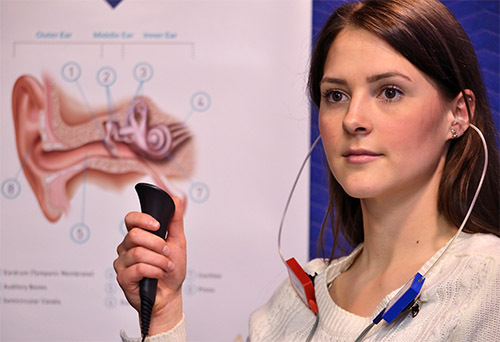 Alutiiq Hearing Services is an Anchorage audiology clinic that provides hearing aids, comprehensive hearing health services including hearing tests, tinnitus treatments, & more. Cindy Weber is a licensed Audiologist who has been providing exceptional hearing services for the past 17 years. Alutiiq Hearing Services proudly offers a full range of diagnostic and preventative hearing healthcare services, including hearing aid evaluation and options, hearing aid sales, tinnitus treatment, hearing aid cleaning/servicing and comprehensive hearing tests and hearing screenings Anchorage residents can trust. We are dedicated to keeping up-to-date with the latest technological advancements in the hearing care industry and are committed to offering the most current options to our patients. Alutiiq Hearing Services has a state-of-the-art audiology Clinic in Anchorage. • Always Custom-Fit to YOUR needs at a price you can afford! We offer a full selection of state-of-the-art hearing aid devices include manufacturers such as Oticon, Rexton, Siemens, GN ReSound, Widex, Phonak, Starkey, Unitron and more. Have questions about a certain make and model? Give our Anchorage clinic a call at (907) 538-3655. We’ll be glad to answer your questions. Anchorage Hearing Services! call today, (907) 538-3655.